A bit of a change this week; until now I think all my Whisky Wednesdays have been single malts but Monkey Shoulder is a little different. I’ve seen it around at various shows over the years but somehow never got around to trying it myself. 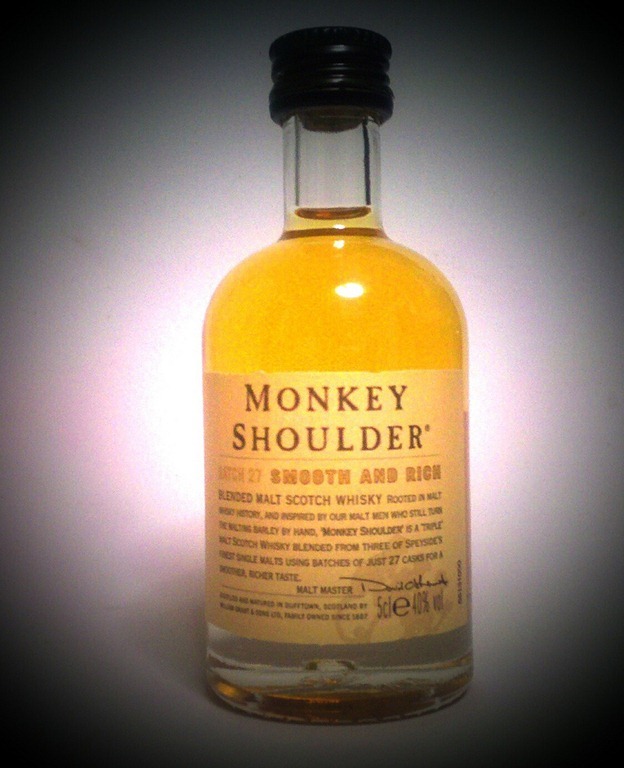 Monkey Shoulder is a blend of three Speyside single malts – Kininvie, Balvenie and Glenfiddich, although Monkey Shoulder themselves don’t exactly make it easy to find that out. To be fair to them, their marketing and website is clearly not aimed at single malt whisky drinkers and I suspect that their target audience aren’t all that interested in exactly which factory it comes from. I should probably say at this stage that I’m not a single malt snob. I drink mostly single malts because they tend to be the more ‘premium’ end of the market – most blended whiskies are aimed at, shall we say, the more price sensitive end and suffer as a result. This hasn’t always been so – historically whisky was always blended; single malts started life as little more than a marketing gimmick. So the word “blended” on the bottle fills me with more curiosity than dread. It’s an intriguing nose out of the bottle; sweet honey and a hint of grain. A splash of water actually robs it of a lot of character; the honey drops away and you’re left with little more than grain alcohol. On tasting, it’s a little raw and uncomplicated but there are some tantalising spices lurking at the back of the disappointingly short finish. Watered, the sweetness comes out more and the rawness fades. There’s still those hints of woody spices hiding just out of reach. It is, perhaps, telling that it’s own website suggests it’s more of a ‘cocktail whisky’ than something to savour on it’s own – maybe it needs that touch of rawness to hold it’s own as a mixer. Overall, it’s a slightly unadventurous but perfectly drinkable whisky. 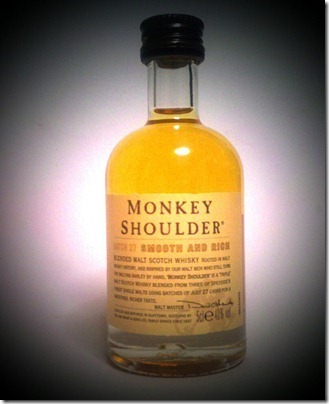 With a splash of water it develops into a pleasant enough dram, sweet and smooth if a little short lived for my tastes.